A secret passion of mine, besides thrifting, is organizing and getting rid of stuff (and trying to get money for it). In these past few weeks I've moved, and therefore have been going throw all my things to figure out what to keep and what to chuck. I LOVE doing this, it's like a disease. One collection I've thought about parting with for sometime is my CD collection. I've spent hours ripping all my CDs to my computer and then transferring the MP3s to my iPod (which I got on craigslist for dirt cheap). Now I hate having the clutter of the discs and the cases...who needs them really? But the question is, what do I do with all these CDs? I don't want to lug them around every time I move considering they can be easily consolidated in mp3 form. I paid maybe anywhere from $10-15 per CD back when I was just a kiddo...now I want to part with them by taking a trip to Goodwill? It's unjust really! So I started to wonder, what are my other options? I googled "sell used CDs", but didn't come up with much, so I eventually asked around. One friend who tried to sell his collection on facebook, told me about a site called http://abundatrade.com/. I took a peak. 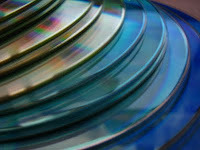 Abundatrade is a website that buys your old CDs from you and then resells them on the website. I entered in just a few of my CDs and it turns out that some of them are worth between $1-2.50 each, which is excellent for old, used CDs. Plus, this site allows you to buy used CDs for cheap as well. Overall, it seemed like a good idea to me. So, I went through the tedious process of entering each CD UPC code into an Excel spreadsheet and uploaded it to the website. I decided I would send them every CD worth more than 50 cents. With that being said, the amount they would give me was about $60. I was a bit skeptical of the total considering the website said the prices were assuming these CDs were in "like-new condition", plus you have to pay your own shipping fees. BUT I just received my check in the mail from Abundatrade for $45. In their letter to me they told me three of the CD cases didn't have CDs in them (whoops) and only 2 were not in the proper condition. I was pretty pleased with the check amount considering FYE and other stores buy back old CDs for mere pennies; this is a considerable improvement. Plus for the optimal CD condition, I employed a trick at the advice of a friend. I took all the CDs that were worth something, that were housed in ragged cases, and swapped the cases and with CDs that were worth nothing but in better condition, thereby improving the condition of the CDs I could get some money for. This seems to work out well. After I got my check and those CDs were gone, I took all the leftover CDs that I did not send and sold them at a couple yard sales for 50 cents each, and make around $10. All in all, $50 for all my old CDs is certainly not ideal, but it's better than getting nothing for them. More to come on this topic. Hope all my thrifters have a super holiday weekend!